Hey all! 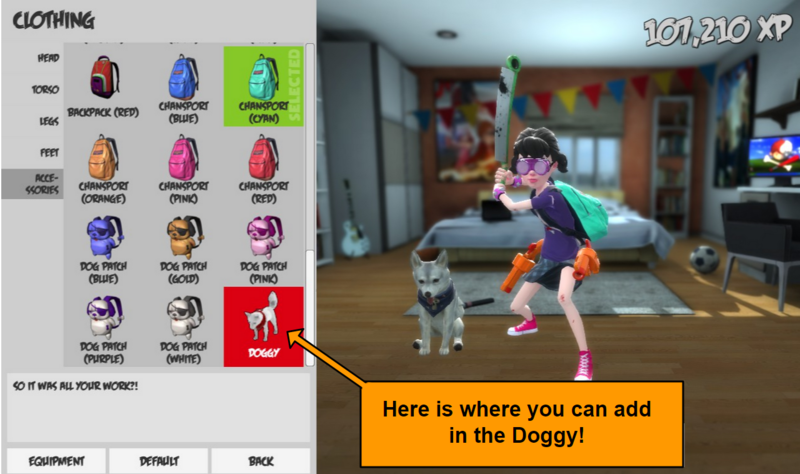 As you enjoy defending the school grounds from the zombie apocalypse, don't forget to bring your doggy with you! Thats right, your best friend is available under Clothing - Accessories, scroll all the way down and to the right! See what you may have been missing!? Pets have their own tab now, so no more digging around (pun intended). Too easy!